My husband and I have been super busy the last month or so! We spent the first week of June recording our first album of music for our group, Sunlight. We spent my husband’s birthday in Silver City, NM, our favorite small New Mexico town. After this most recent trip we have decided once and for all, we are moving to Silver City as soon as possible! First, we have to get our house in Albuquerque ready to rent. This means we have a LOT of work to do! We have been working on cleaning STUFF out and paring down to a minimum so we don’t have as much to move when the time comes. Now that the boys are grown and gone, we are ready to live in a smaller house. Time for a little downsizing! Below, you can see just a FEW of the drawings and paintings I have rediscovered while cleaning out my flat file. There are some real gems in there that I had all but forgotten about! You will find more posted on my Facebook art page. 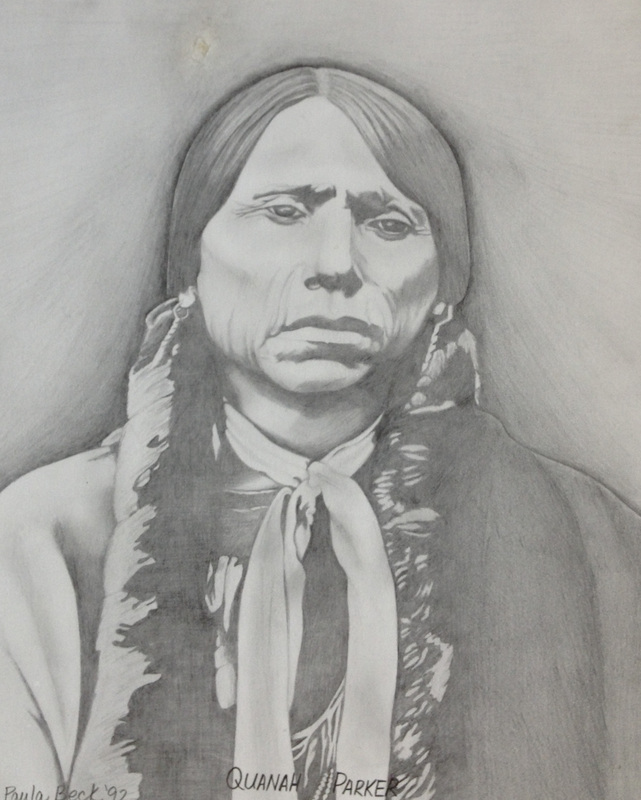 “Quanah Parker”, 8 x 10″ pencil on paper, $200. This is a one of a kind piece, there were never any prints made of this image. This one was drawn way back in 1992! On top of all that, I have a featured artist show coming up in July at High Desert Art & Frame here in Albuquerque. 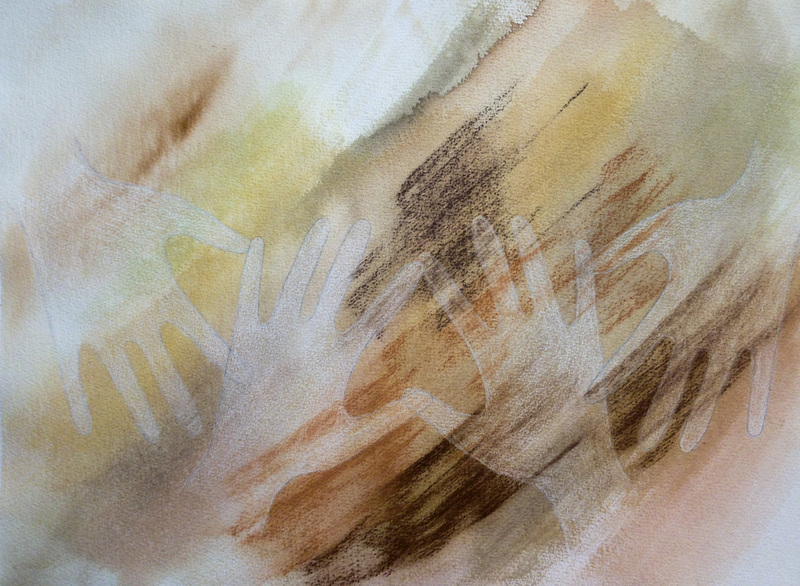 Needless to say, I have spent a LOT of time in my studio painting! Above is just one of the many paintings I will be showing. 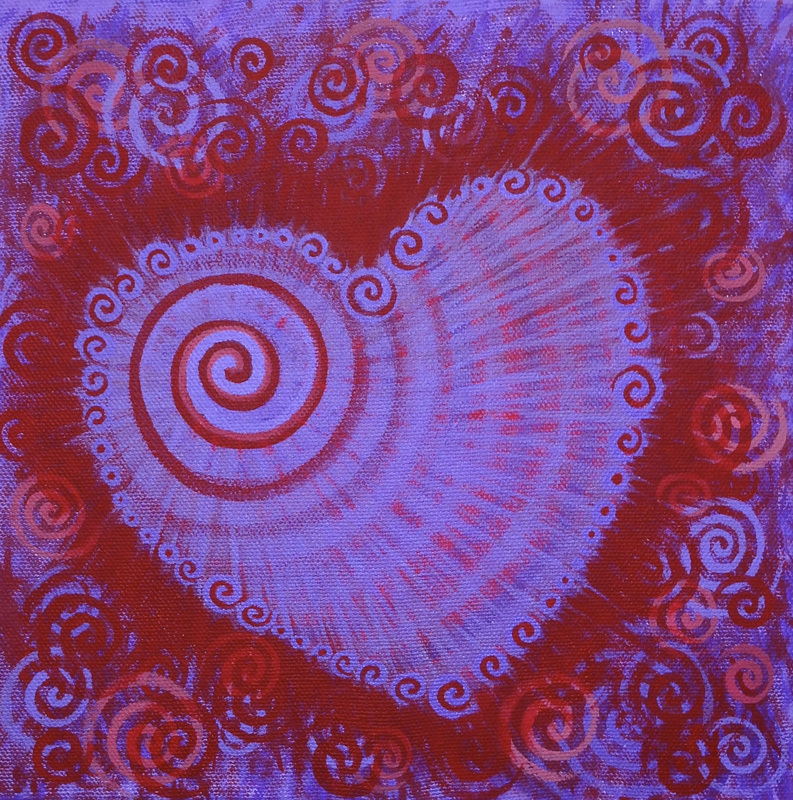 The show is entitled “All About Love” and revolves around my heart paintings, just about every painting in the show will either have a heart in it, or have a love related title. If you are an Albuquerque local, I hope you will come out to my show opening on July 5th, or First Friday. High Desert Art & Frame is located at the NE corner of Tramway and Montgomery. 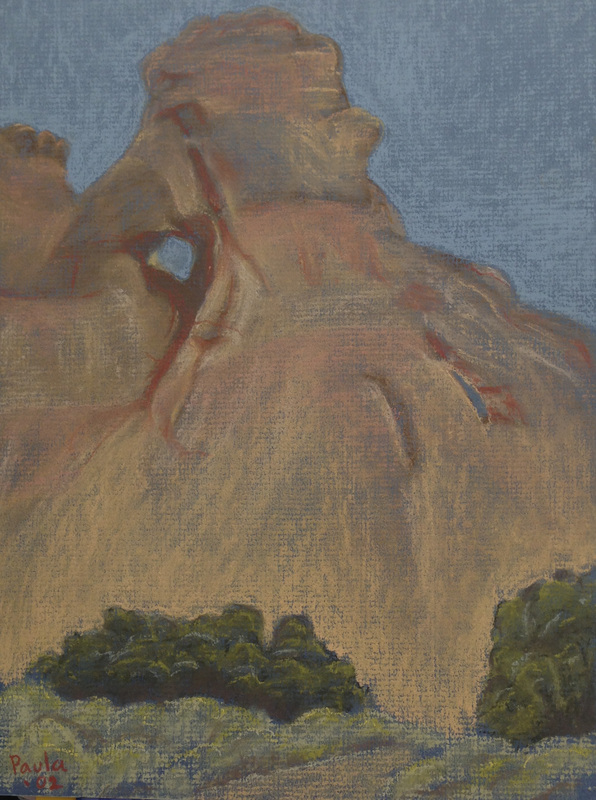 “Window Rock”, 10.5 x 14″ pastels on mat board, $125. Part of my Rock Series. Upcoming shows and GREAT news! I cannot believe how busy I have been lately! I didn’t realize it had been so long since I posted here! The next two weekends I have two shows coming up. 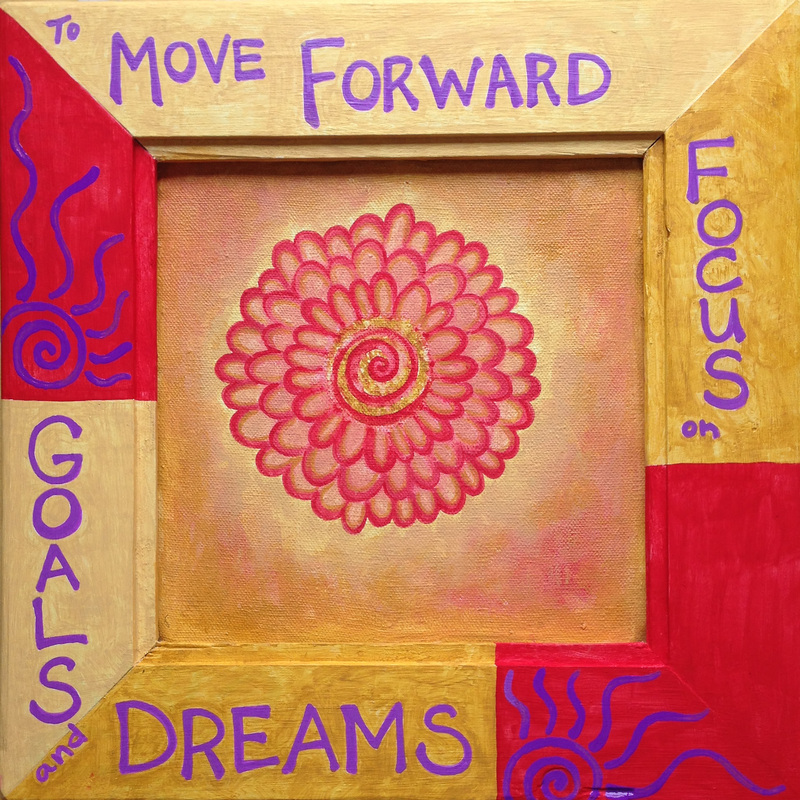 This weekend I will be at the Tijeras Art Market, Saturday and Sunday, from 8am – 5pm. This will be my first time there and I’m really looking forward to it! The market space is nice and shady with permanent shade structures. The location is the East Mountain area just outside Albuquerque, off I-40 in the village of Tijeras. The market is located behind the Just Imagine Gallery and coffee shop. Next Friday, July 6th, is my first, First Friday event at my new studio. The Factory on 5th is located just north of downtown Albuquerque on 5th street, between Aspen and Haines streets. My husband will be playing guitar as entertainment for the event. So, if you are local or even if you are just visiting Albuquerque, I’d love to see you out at one of these events! Now for the good, no GREAT, news! I mentioned back in May that I had some exciting news to share. Well, the news is official now! I have sold out of all my Paula Beck prints! All my black and white portrait and pottery prints that I have been threatening to bonfire for years are gone! This is a huge accomplishment for me as there were 7,000 prints left! I sold them all to one person in the Chicago area who plans to sell them as a fundraiser for a school/church. So, that is what I’ve been most busy with in the past month or so. I have always signed and numbered the prints as I needed them, so I have spent the past few weeks signing them all and getting them packed and shipped. Now they are gone for good! No more reminders of my past life!